Trenchless Pipe Repair is a quicker, more efficient way of restoring sewer lines without the mess and cost of traditional repairs. Typically you can expect the repairs to take less than a day with these newer methods. While the repairs may not take as long and are more affordable they are also permanent repairs and are more resistant to the issues that broke the pipeline in the first place. Replacement Pipe can be done by using a camera inspection to locate the affected length of pipe to be replaced. Once we have located the source of the problem, our plumbers will create an opening on both ends of the affected pipe and carefully installing the new pipeline to replace the defective one. This requires little to no mess and keeps your property clean and undisturbed. Pipe Relining is done by opening up the broken pipeline from one end and placing a lining through the pipe to create a permanent barrier that keeps the pipe intact and lasting for years. 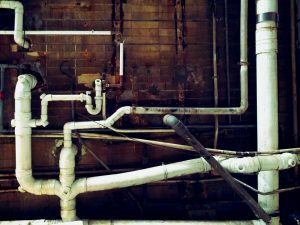 The methods used for trenchless pipe repairs are highly beneficial for solving difficult problems. Trenchless pipe repair is best for installing and repairing underground pipelines that would affect your home or property if plumbers were digging around for pipes. It is commonly used to repair pipelines that have been broken by tree roots or the ground shifting. To talk to our team about trenchless pipe repair services in West LA and nearby areas including Beverly Hills, contact us by phone or through our online form. Updated on June 15, 2016 at 6:38 pm by Sunset West Plumbing & Rooter.